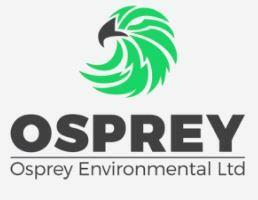 Osprey Environmental Ltd - Asbestos Services based in North Mymms, Hertfordshire. Let me start by introducing myself. My name is Alan, I have worked in the Asbestos industry for over 30 years. I am vastly experienced in the Identification, removal and safe disposal of Asbestos. I am qualified to undertake both management and R & D Surveys, for which a report and samples are inclusive in the price. We are now a family run business and I pride myself on delivering an efficient service. I am happy to come and have a look mainly to put peoples mind at rest, which is essential. Surveys - Including prior to house purchase. Floor tiles, Accoustic pads and many more items are removed as they all are asbestos based. Pigeon Guano (poop to most of us) Yes !!! this comes under hazardous waste and I am happy to remove and place preventive spikes and netting. All of our work is compliant with the control of Asbestos regulations 2012.